We provide riding tuition for pupils between the ages of 3 years to even our most senior citizens. 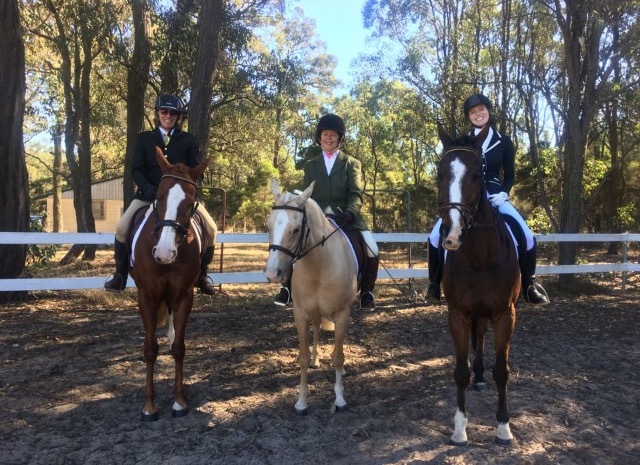 We cater for all levels of riding; whether you are a budding competitor, nervous beginner, an adult returning to riding or those looking at bringing on their own young or uneducated horse. We are extremely flexible with lesson times. We start teaching at 6am right through to 9pm being our last lesson for the evening. Lesson are conducted on site 6 days / nights per week. Sundays as set aside for shows, Pony Club, gymkhanas and Adult Riding Club. You do not have to have your own horse to compete on; Tathren Stud can supply you with all the equipment, knowledge, training and transport you will need to make your first competitions run smoothly and with success.Whether you are off to the beginner's ring, or to the dressage arena or a National level competition; Tathren Stud has the horses that can take you there. CANCELLATION POLICY. A minimum of 24 hours notice is required when cancelling your lesson; otherwise you will be charged for your missed lesson. 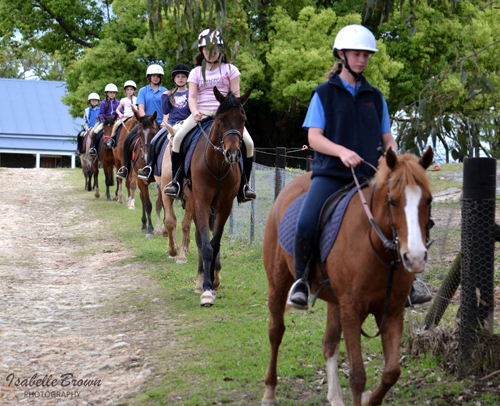 $60 per half hour using our fully trained school horse or on your own horse not kept at Tathren Stud. $50 per half hour if you bring your own horse and equipment for horses kept at Tathren Stud. Contact Catherine for lesson availability. Group Lessons are 2 hours in duration. In the first half hour you learn how to catch, groom, saddle and bridle your horse correctly; then you ride for an hour in a group to match your age and ability, then you learn how to un saddle, groom, hose (if necessary),rug and put your horse in a paddock. $85 for 2 hours on a school horse or on your own horse not kept at Tathren Stud. $60 for the 2 hours on your own horse using your own gear for horses kept at Tathren Stud. 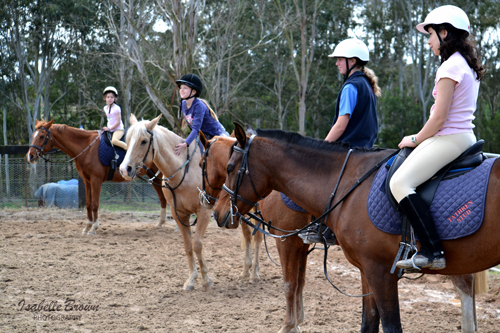 These group lessons are invaluable for developing your horsemanship skills as well as your riding. This group is designed for child pupils that are making the transition from private lessons here at Tathren Stud to group lessons. This group is for children only. This group has 2 instructors that will cover topics such as correct horse handling, catching, leading, grooming, saddling, bridling,washing horses and riding etc. Morning Tea is provided. 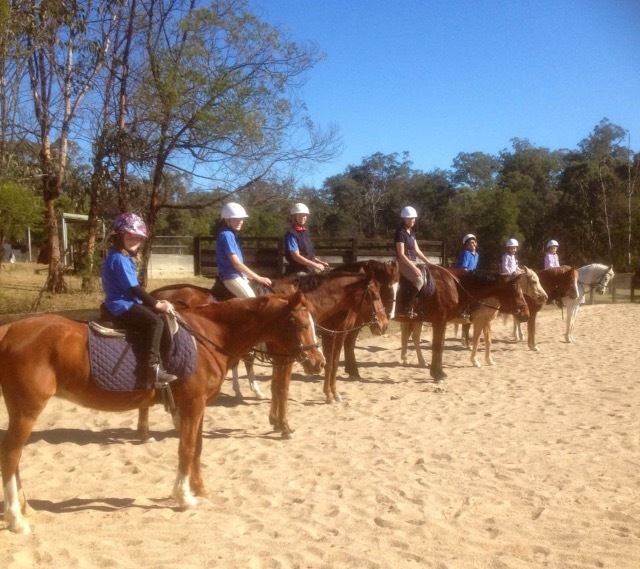 This is an excellent group to gain horse handling experience whilst learning to ride as well. 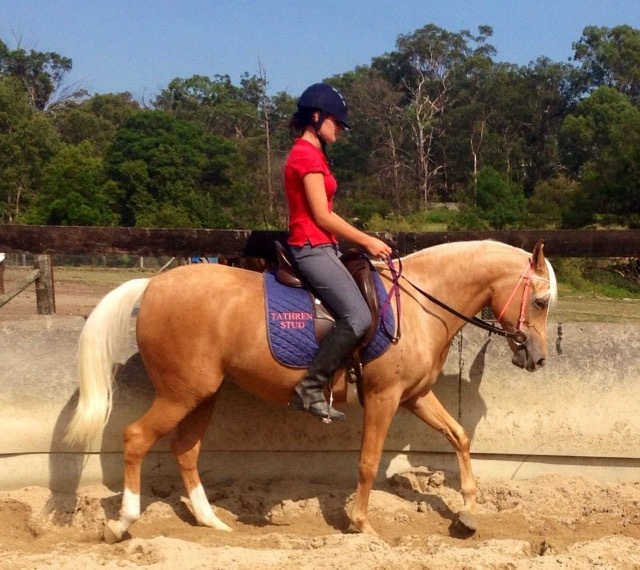 $85 if you need a fully trained school horse or on your own horse not kept at Tathren Stud. $60 if you bring your own horse and equipment for horses kept at Tathren Stud. This group is designed for those that have had private lessons here at Tathren, and are commencing or currently competing.